There are two special days this week that deserve your attention. The first is Employee Appreciation Day on Friday, March 6th and International Working Women’s Day on Sunday, March 8th. You may wonder why these days are so important to stop and recognize, but it’s clear that all of us like to know that we are appreciated and valued for what we do plus these days are a great way to call attention to the positive change that is happening all around the world. To help you celebrate these two special days, we’ve put together some flower arrangement ideas that show just how much you value your staff or that woman in your life who has a career in full-swing or even just getting started out in the workforce. These floral ideas show a wide range of price options to suit every budget plus they showcase the extraordinary talent of our floral design teams at all of our Atlanta flower shop locations. Better yet, many of these floral arrangements are currently on sale, so this is a great time to get even more value while sharing the beauty of fresh flowers with those talented people in your life. 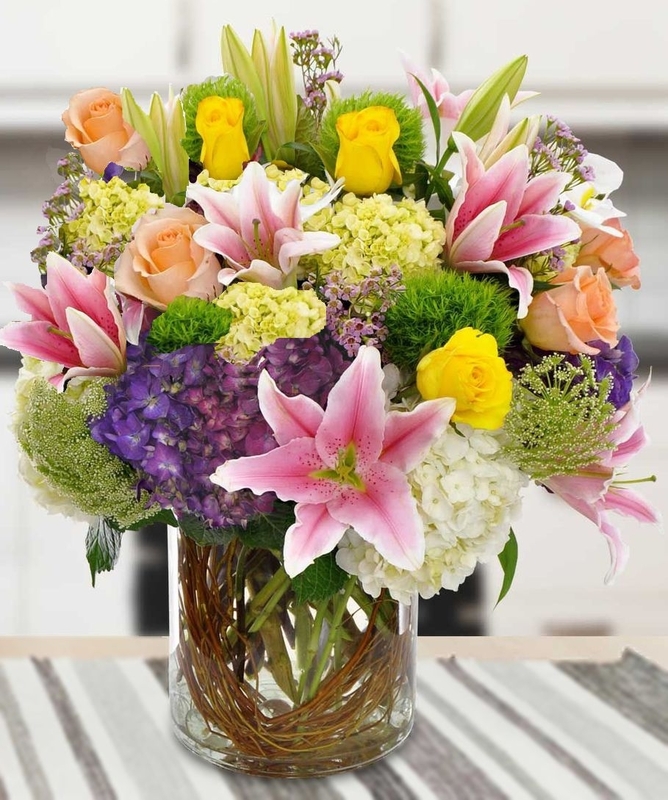 Epic Garden Joy offers bright hues and a cheerful variety of sunflowers, roses, and lilies in a glass vase. 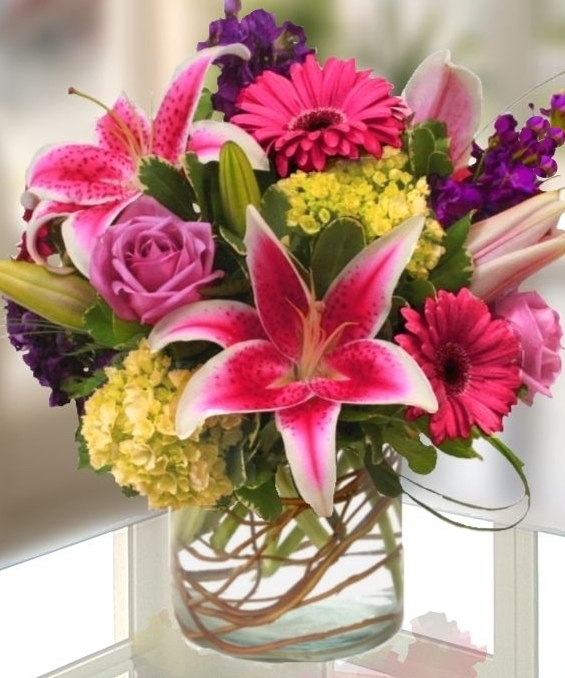 Garden Favorites Bouquet is a garden-style flower arrangement that features stargazer lilies, purple stock, garden roses and gerbera daisies in a ginger glass vase. 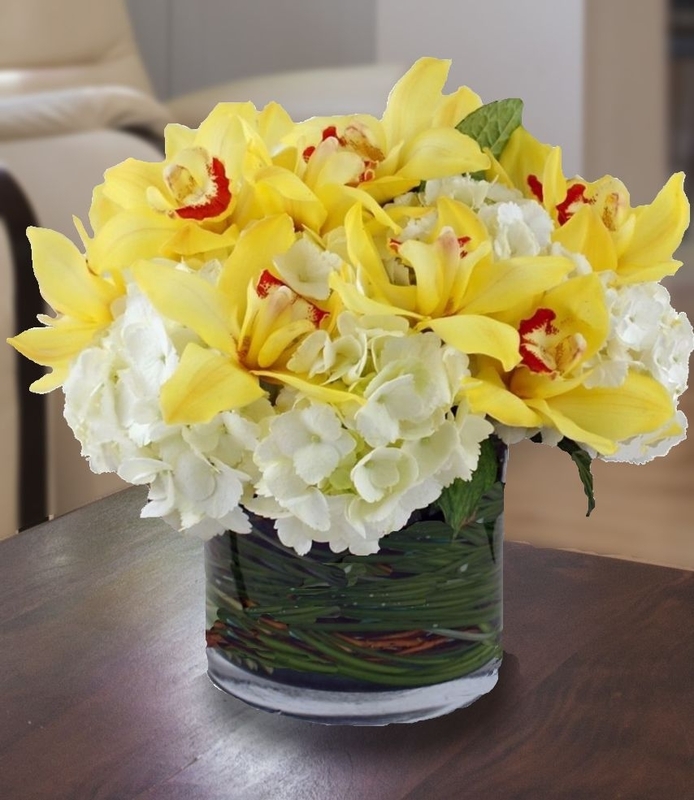 Hydrangea & Orchids is a gorgeous flower arrangement that showcases full-bloom white hydrangea, yellow cymbidium orchids, and willow and delivers elegance and sophistication. Garden Veranda is an over-sized, southern-style flower bouquet filled with charm and southern flower varieties, such as hydrangea, stargazer lilies, skyline and coral roses, lisianthus and willow. Classic Spring Garden Bouquet is a wonderful way to show your appreciation plus welcome the return of spring. 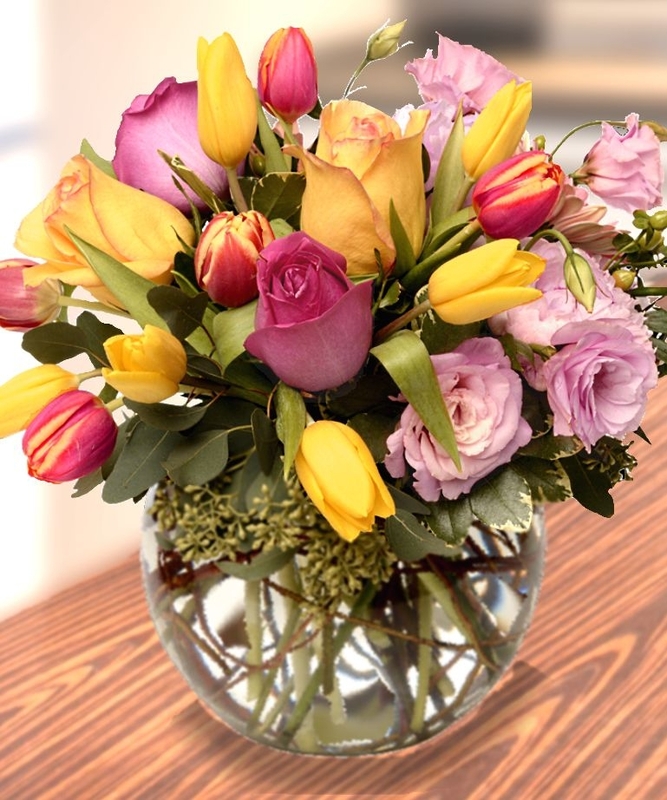 The bubble bowl vase holds spring tulips, roses, and greenery. Besides stunning flower arrangements and custom flower arrangements that you can design with our floral design team, we also have delicious gift baskets that you can send as well as brownies, greeting cards, and balloons all of which can show your appreciation. We deliver throughout the Atlanta area, across the country, and even internationally. Order today for best selection and to get these gifts delivered on time for these special days!